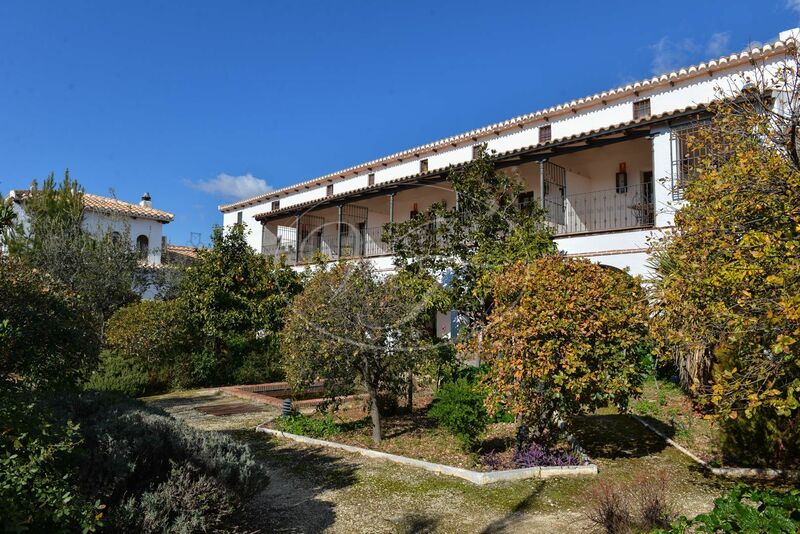 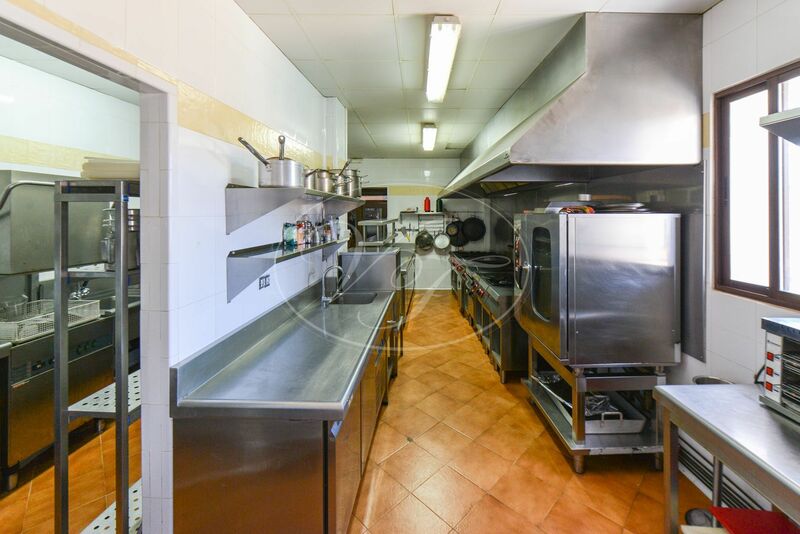 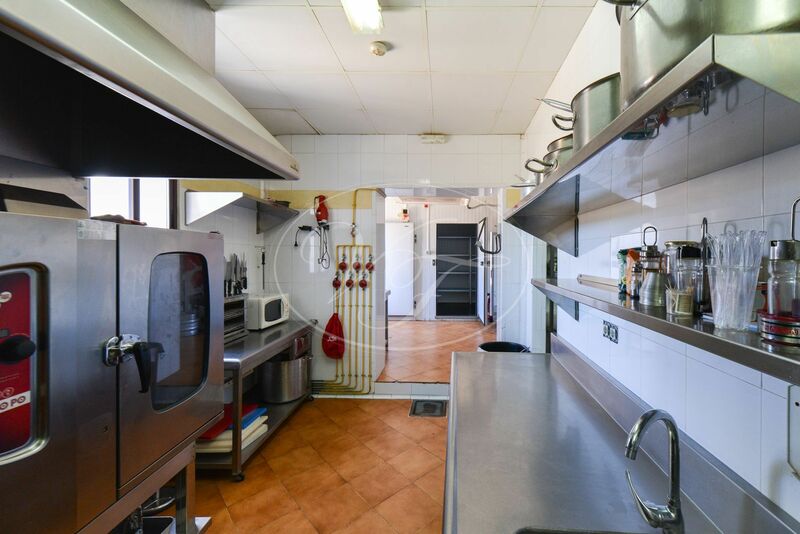 Large Country Hotel for sale in Alomartes near Íllora, in the province of Granada, Andalusia. 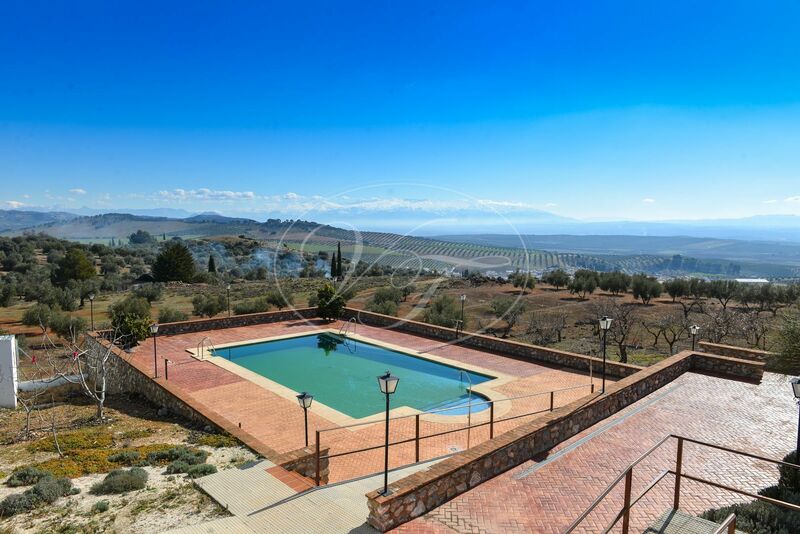 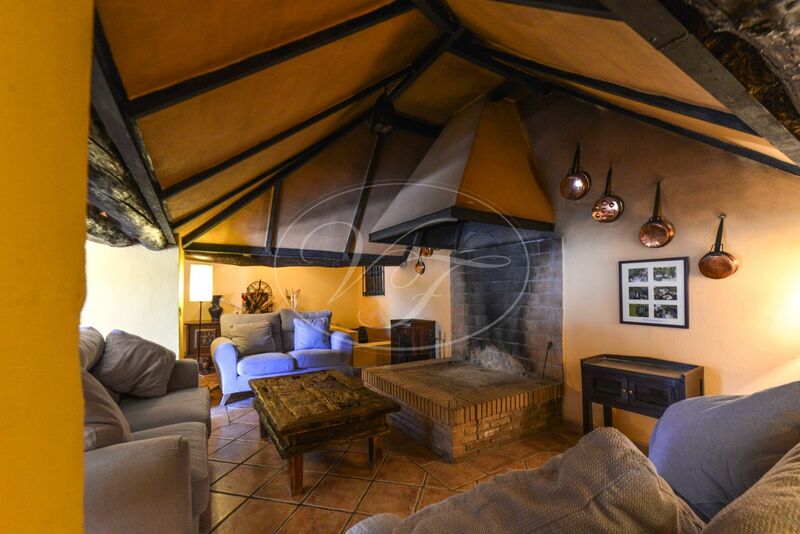 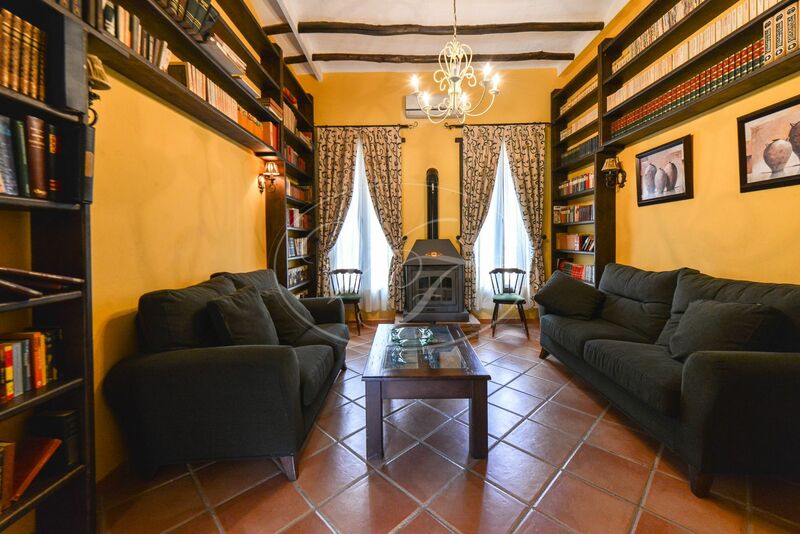 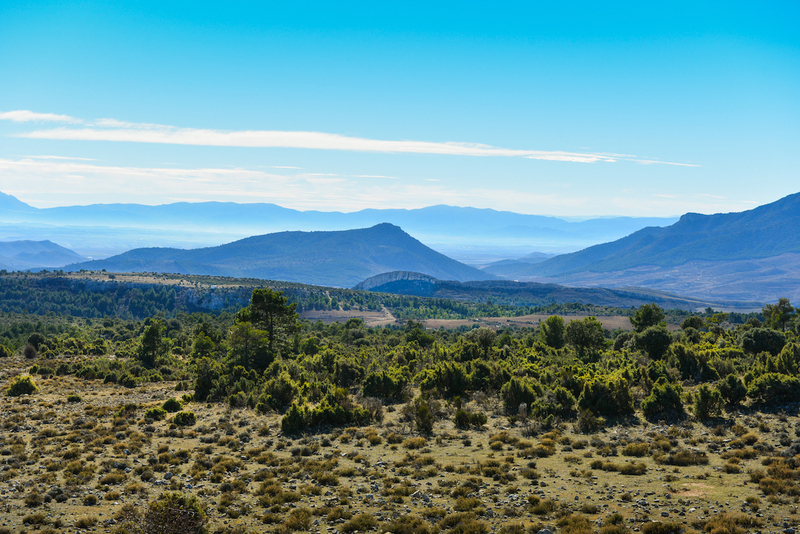 This lovely property lies just a few miles from where García Lorca was born at the foot of the Sierra de Parapanda. 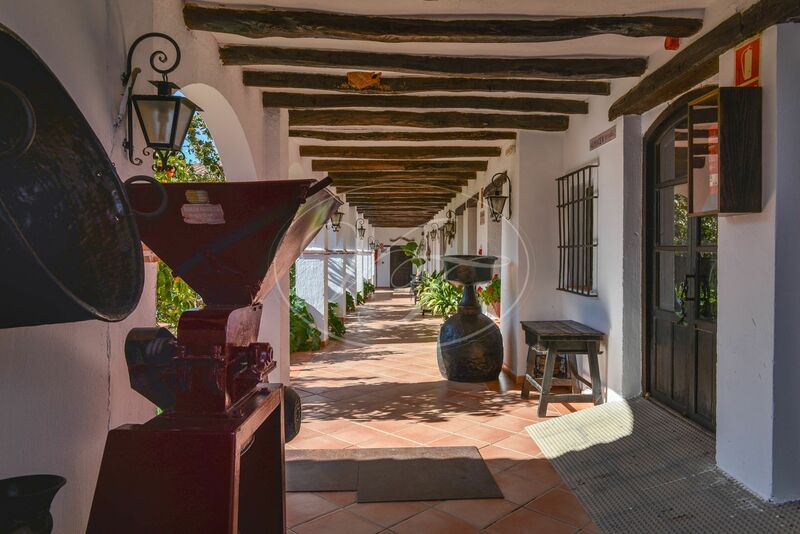 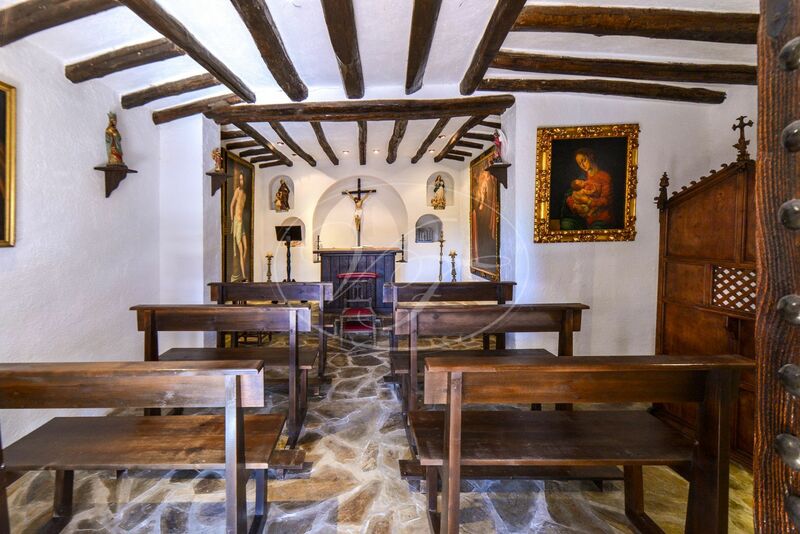 This rural hotel was reformed from a very old Cortijo, is decorated with charm and has a beautiful large courtyard. 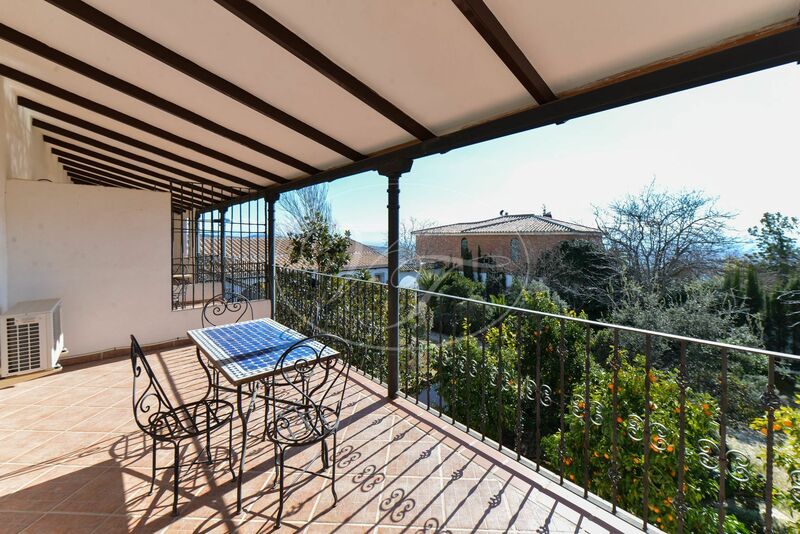 From the balcony and the pool area, there are panoramic views of the Sierra Nevada. 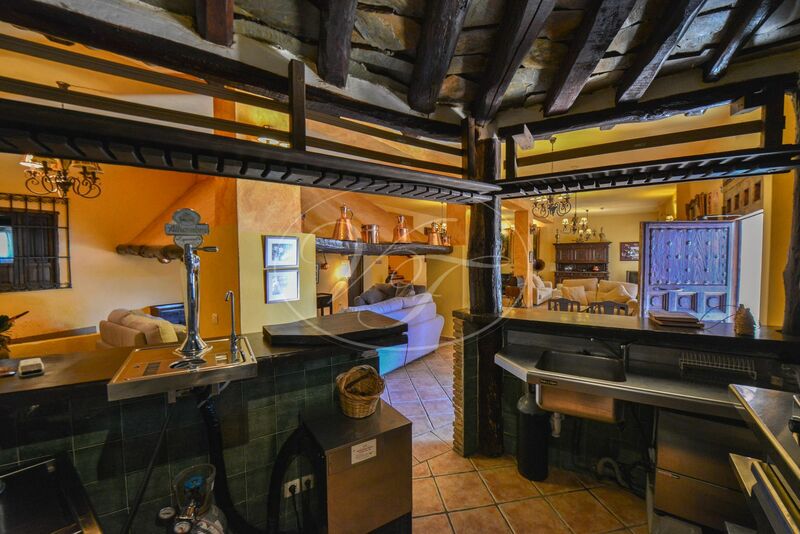 The hotel counts with 20 rooms and consists furthermore of a reception area, courtyard with fountain, large lounge with fireplace and bar, professional kitchen with cool and freezer room. 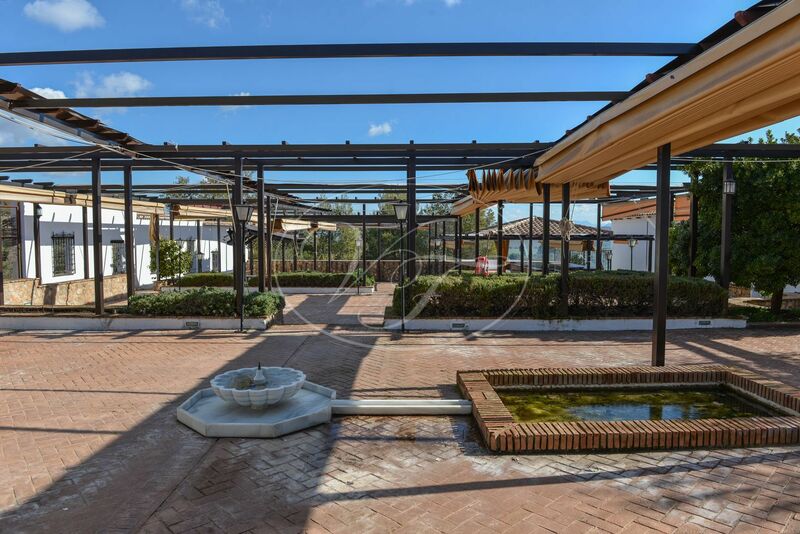 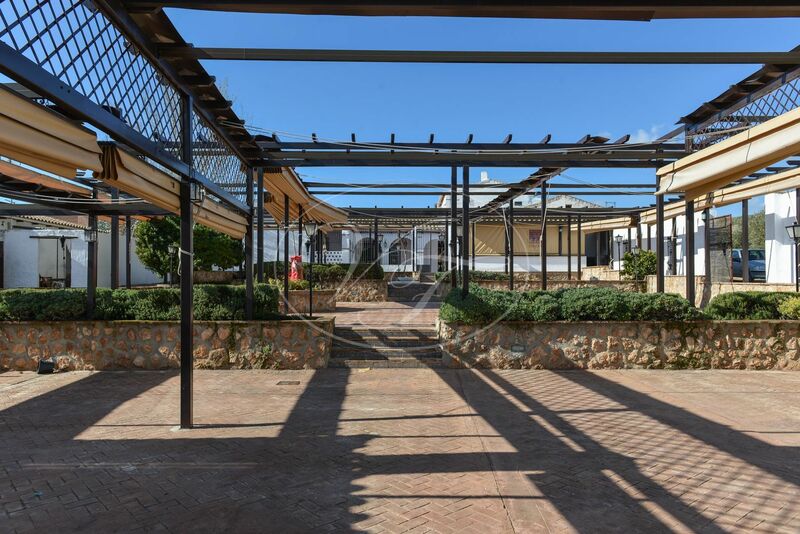 Several storage areas, sauna and Jacuzzi area, 13 double bedroom suites, seven apartment suites, library, chapel, conference room, outside a large open area with bar, covered with shade system, plus pool area. 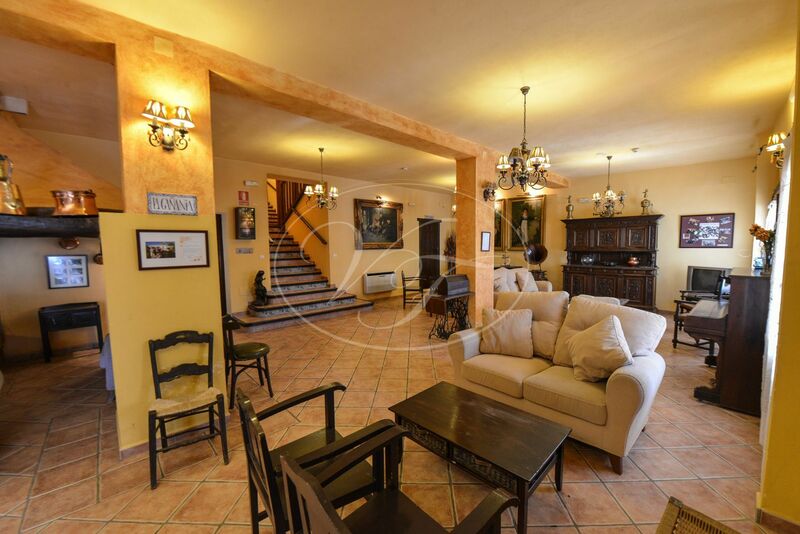 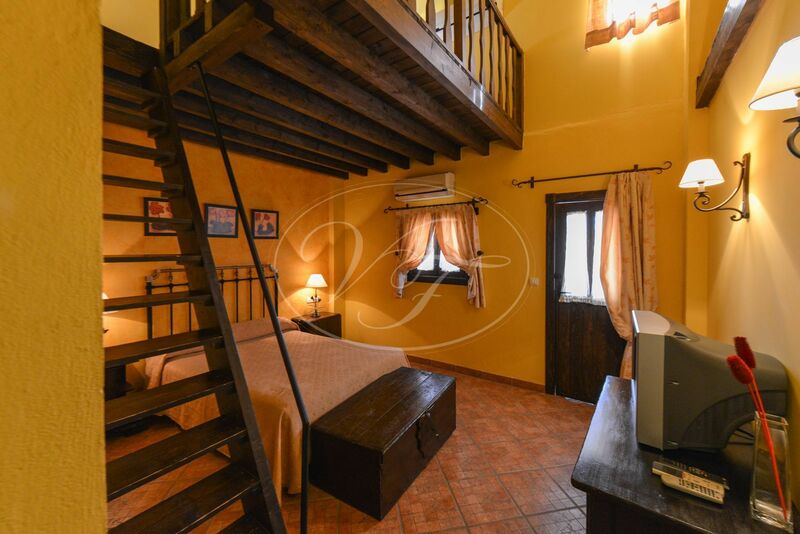 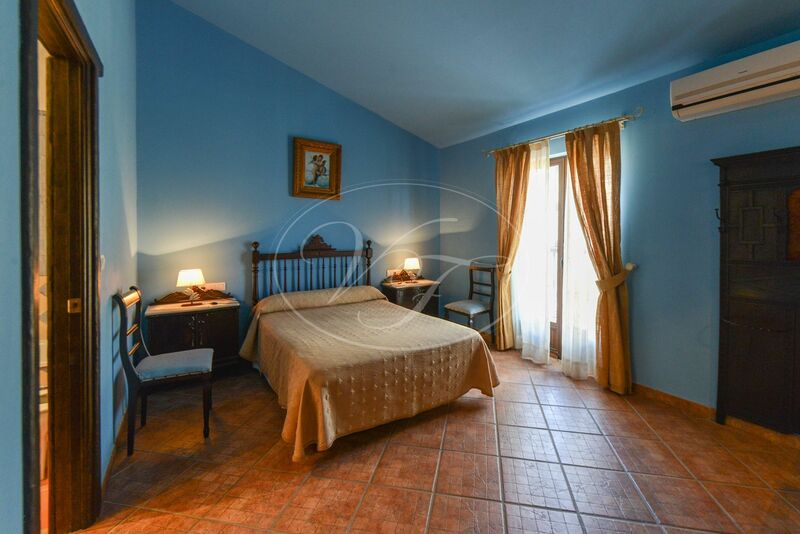 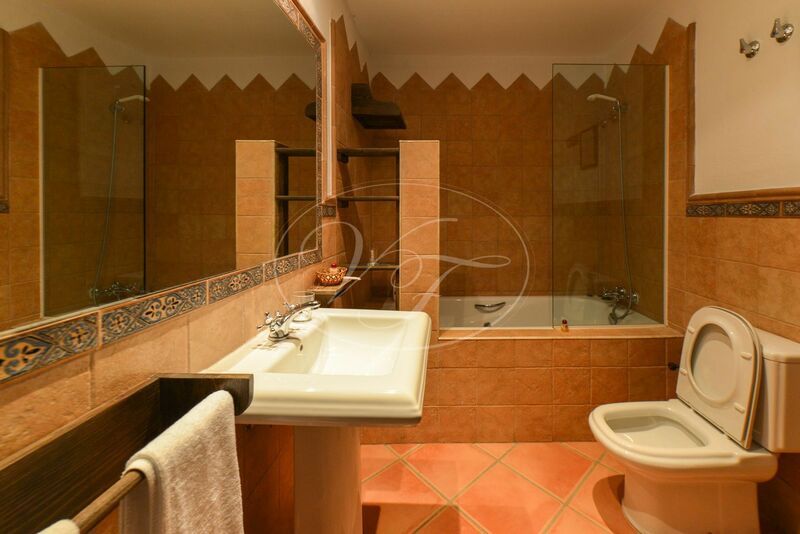 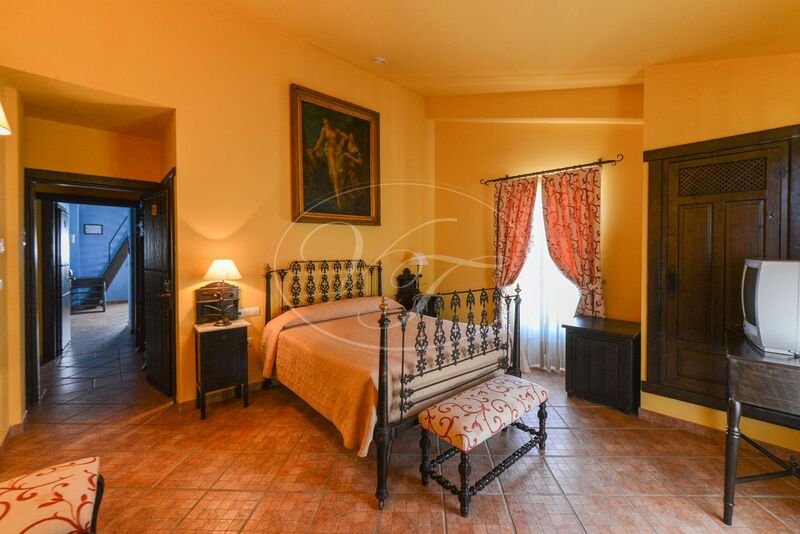 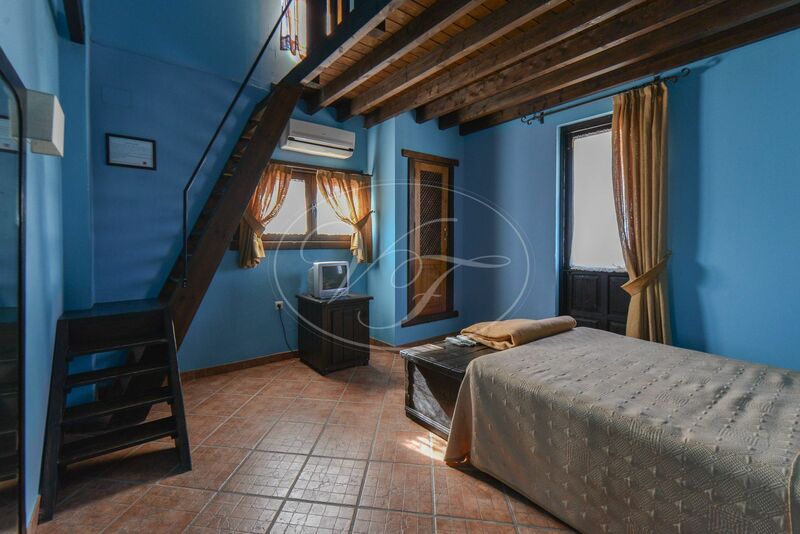 Next to the hotel is a large house of approximately 400 m2, seven bedrooms and three bathrooms. 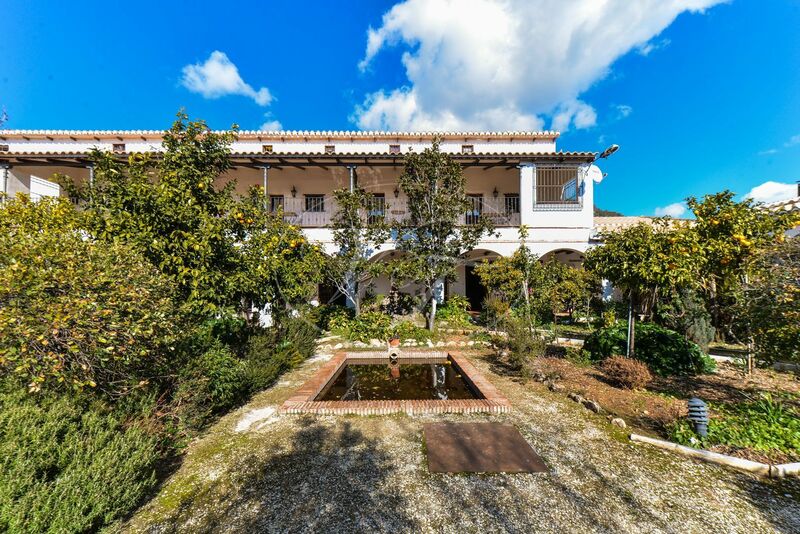 It has its own courtyard and pool. 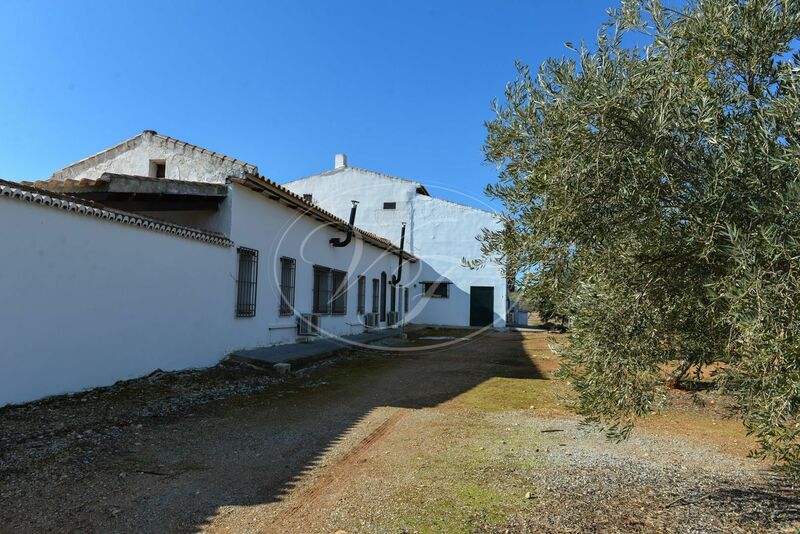 This could be used as the manager’s house or could be added to the accommodation. 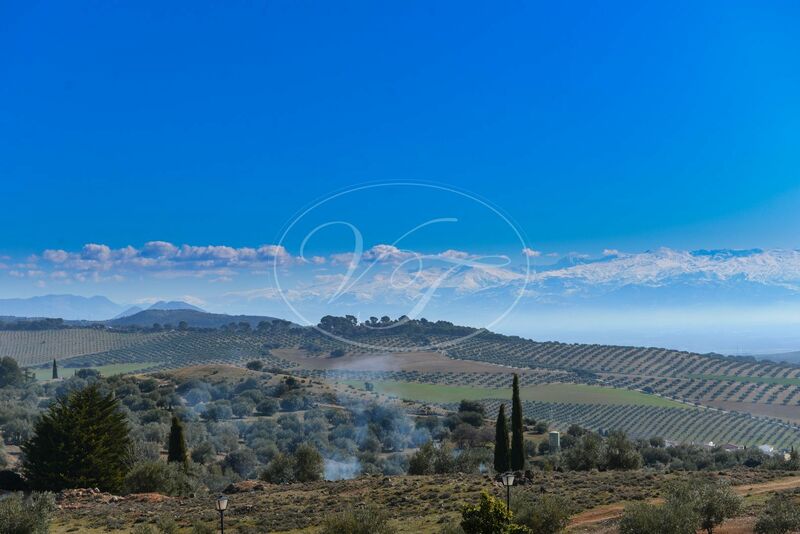 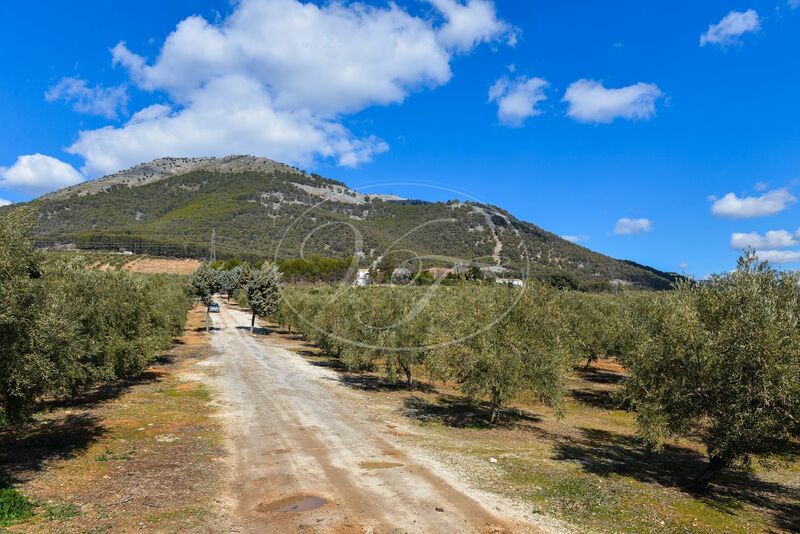 The hotel is surrounded by olive and almond groves. 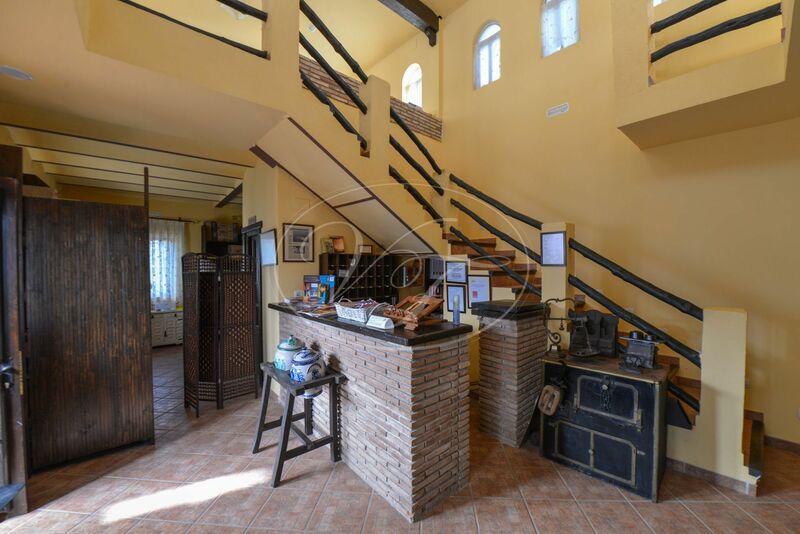 If the future owner would be interested these could be purchased as well. 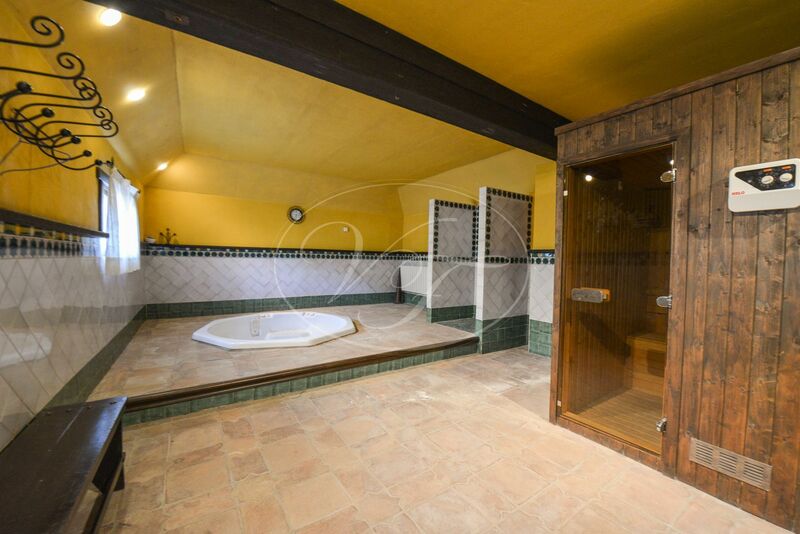 This is definitely an interesting proposition for someone looking to run a rural hotel in Andalusia. 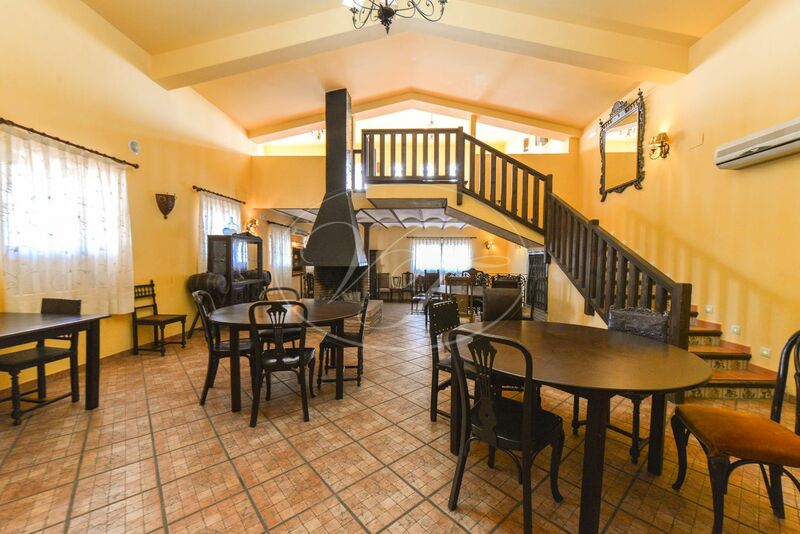 It is offered for an exceptionally good price! 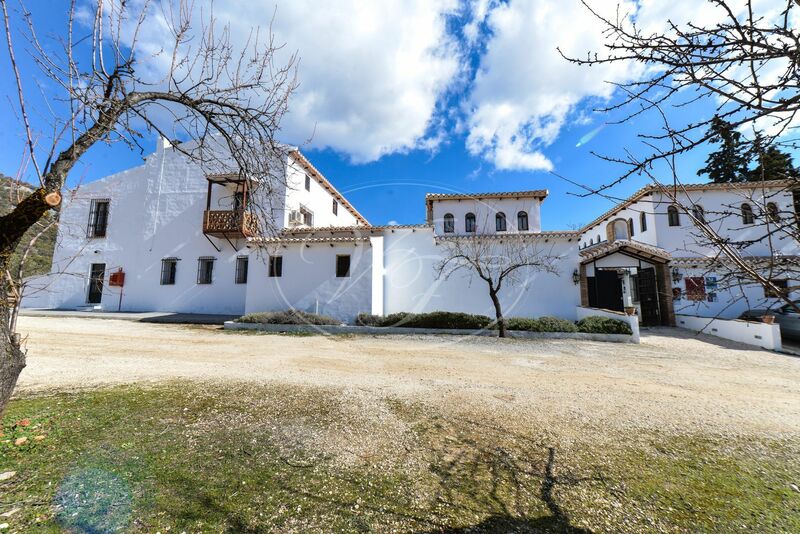 Only 40 minutes of the monumental city of Granada. 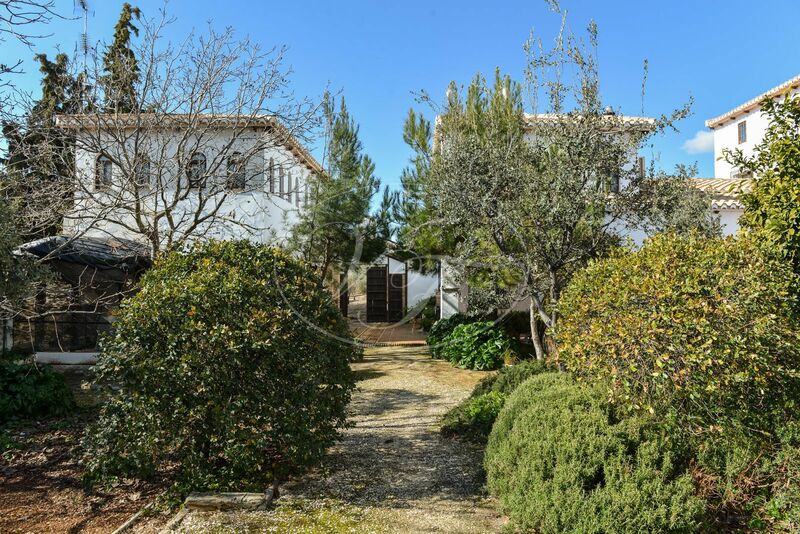 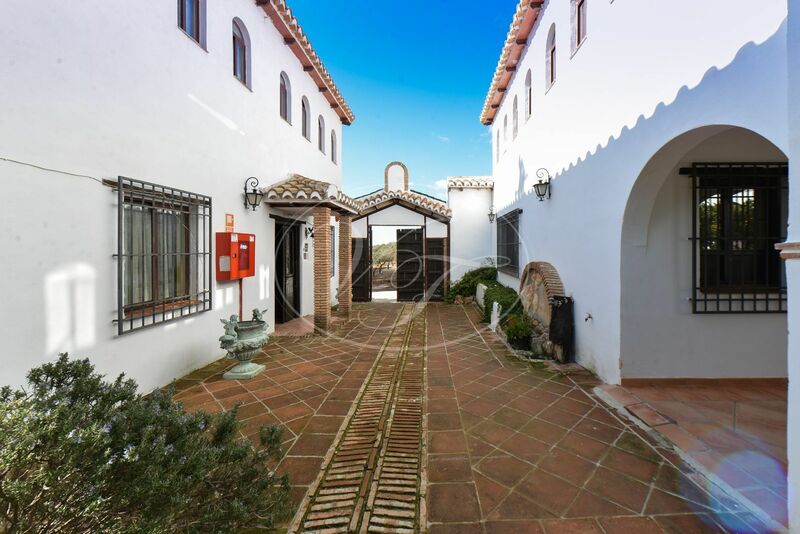 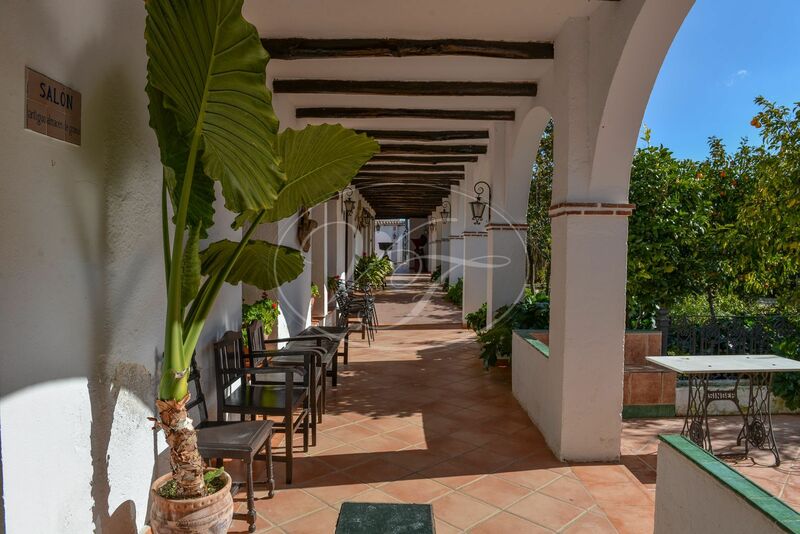 Please, send more information about ref 186-00501P, Cortijo in Granada or similar properties.